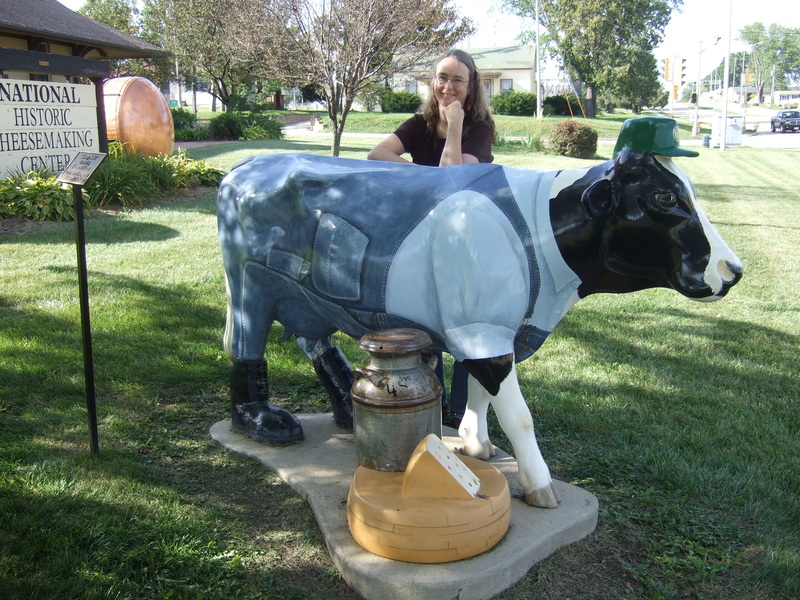 The National Historic Cheesemaking Center in Monroe, WI, has always been a great place to learn about one important role aspect of culinary history. 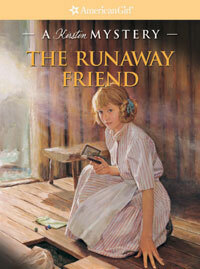 A lot of history, a little whimsy. About a year ago, someone told the Center’s director that a tiny cheesemaking plant was sitting untouched and virtually unknown on a nearby farm owned by Arnold Imobersteg, a retired dairy farmer in his nineties. Now, thanks to Mr. Imobersteg’s generosity and an extraordinary effort by volunteers, cheesemakers, and contractors, the century-old facility will produce cheese again, very soon. Once, farm families made their own cheese from their own cows. In south-central Wisconsin, Swiss women made alpekäse and other cheeses in their kitchens. In time, it became common for loose cooperatives to form among several local farms. Every morning farmers loaded cans of milk into their wagons and delivered it to a neighbor with a small cheesemaking facility. I’ll admit to a slightly romantic view of historic cheesemaking because on my father’s side, I am of Swiss descent. I love the image of cheesemakers and herdsmen moving to high alpine pastures each year. 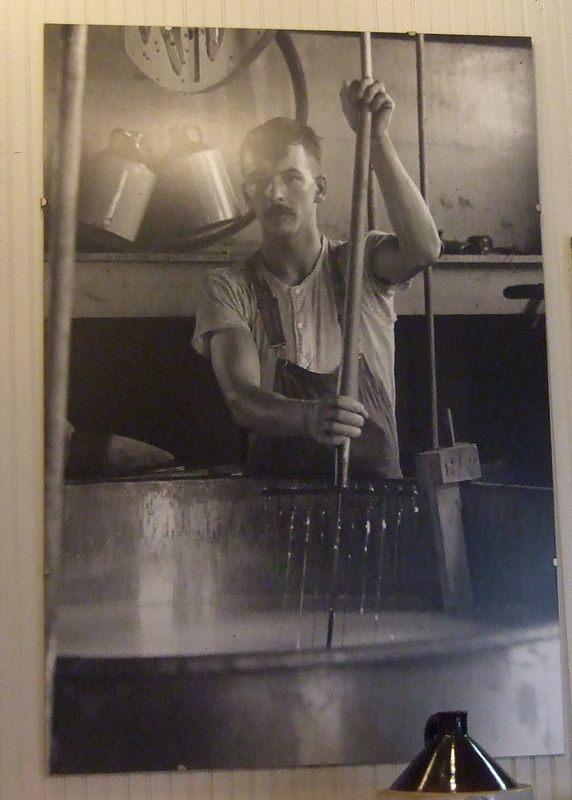 I also made cheese a number of times while working at Old World Wisconsin. Other than the need for rennet (which comes from the stomach of an unweaned calf, and yes—one year we did obtain what we needed to make our own), it was fun. But the truth was, of course, that for immigrants trying to establish farms in the new world, the need to make cheese on an ongoing basis was simply one of many necessary chores. Many of the first Swiss families to settle in the New Glarus-Monticello-Monroe area were not farmers in the old country. Agriculture of any kind represented a huge change. In any event, small farm-based cheese operations were once common. The first known cheese factory in Green County, WI, was opened in 1868 in a small log home southwest of New Glarus. Five local farmers hauled their milk to Nicholas Gerber’s operation. The cheese produced was a boon to the local economy. In 1902 Arnold Imobersteg’s parents purchased their farm (just over the border in Illinois), after immigrating from Switzerland. Anna and Alfred made cheese in the plant, which had no electricity or running water, until 1917. Farmers were then required to take their milk to a nearby commercial operation so it could be processed and canned for soldiers. 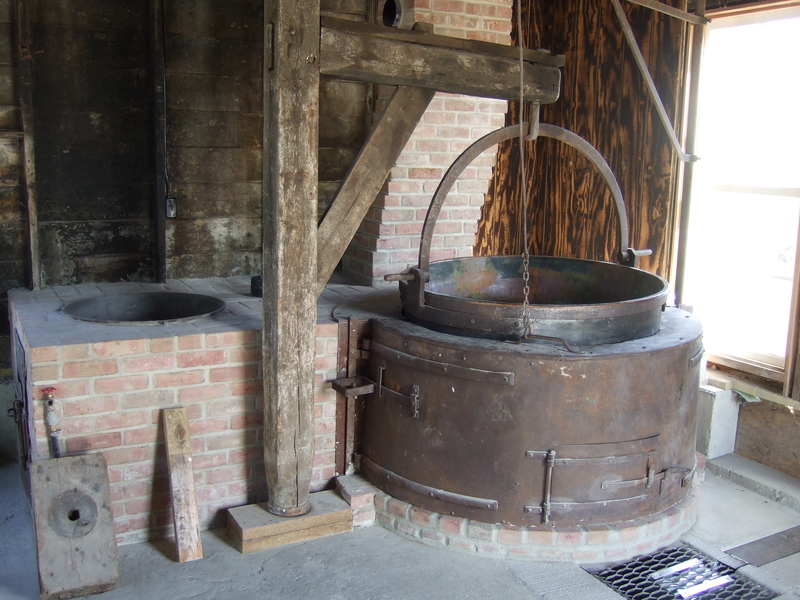 Anna Imobersteg did laundry in the huge copper kettle, and hung clothes from the wooden beams once used in the pressing process. Original equipment, still in the Imobersteg cheese plant. 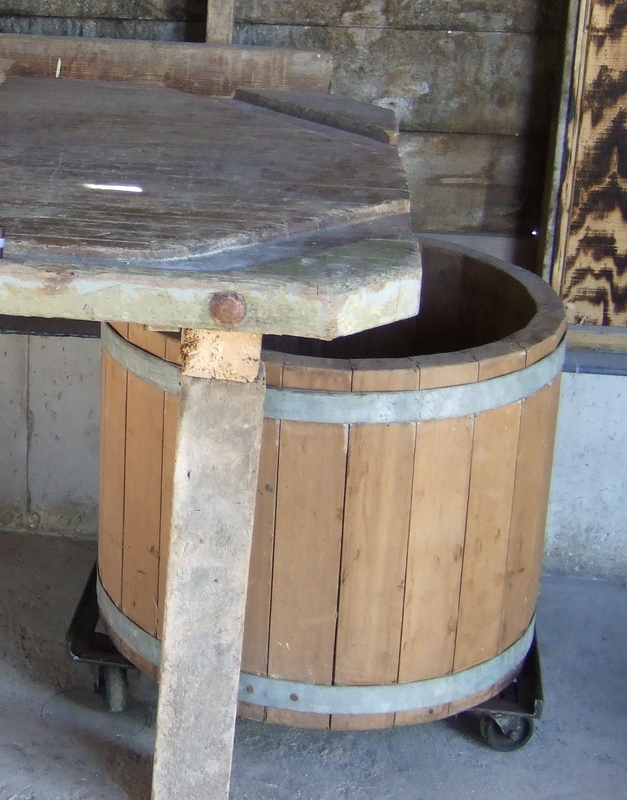 The grooves in this pressing table allowed the whey to drain from the cheese curds. The cheese plant has been moved to the cheesemaking center, and is being restored. Thanks to Mary Ann, for giving me a sneak peak at the facility. I hope to visit again when it is in operation!